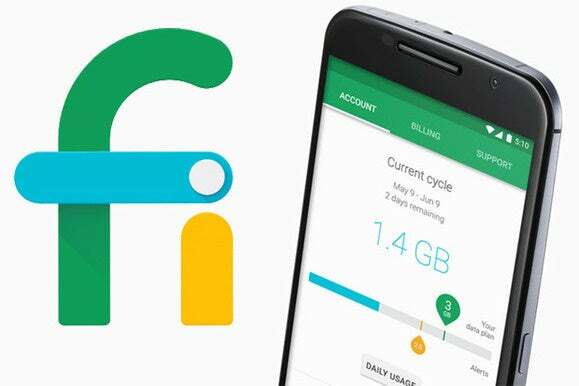 Google's offering a different kind of wireless phone service with its new Project Fi program. So how good of a deal is it compared to traditional carrier plans? You've gotta love it when Google decides to jump into a new industry and shake things up. The Big G's latest venture, if you haven't heard, is in the realm of wireless phone service: the rather awkwardly named Project Fi, announced Wednesday afternoon, which will offer contract-free phone plans with a few new twists. The gist of it is this: Project Fi lets you use a combination of different mobile data networks -- Sprint's and T-Mobile's, for the moment -- along with public and authorized private Wi-Fi networks (with added security) to make and receive calls, send texts, and get online. It automatically and seamlessly switches between any available cell and Wi-Fi networks to give you the strongest possible signal wherever you are, without interruption (theoretically, at least -- assuming there's always at least one reliable network available). There's just one universal plan for Project Fi: $20 a month for unlimited talk and text plus $10 a month per gigabyte of cellular data (and that includes domestic data along with international data in 120 countries). So if you wanted 3GB of data per month, you'd pay the base $20 plus $30 for the data -- coming to a grand total of $50 a month. Tethering and mobile hotspot use are always included at no extra charge; the only limit is how much data you have in your plan. Remember, too, that Project Fi relies on Wi-Fi whenever possible -- even when you're out and about -- so you might end up using less data than what you use now. And, crucially, Google will refund you for any data you don't use each month, so if you pay $30 for 3GB but use only 2.5GB, you'll get a $5 credit toward your next month's bill. Here's the asterisk -- and it's a big one: Project Fi will work only with the Nexus 6 for now. And, as is often the case with early Google launches, the system is available on an invite-only basis to start. So all of that said, is Project Fi really revolutionary in the value it provides? And would it actually end up saving you money compared to a more traditional carrier plan? The short answer is that it depends -- but for most people, probably yes. On AT&T, you can get unlimited talk and text with 3GB of data for $80/mo. via the carrier's Mobile Share Value plan. If you're using a non-contract AT&T plan -- basically, anything where you aren't buying a phone from AT&T at a subsidized rate -- the cost drops down to $65/mo. for that same setup. Tethering and mobile hotspot use are included. Unused data rolls over for one billing period but expires after that -- and you never get any money back on it. And if you want to use your phone internationally, you're going to pay out the wazoo for the privilege. The same allotment of talk, text, and data would run you $50/mo. on Google's Project Fi. It'd include money back for any data you don't use and wouldn't cost you extra for international data use. As long as you can get reasonable coverage from Sprint and/or T-Mobile where you live, Project Fi is pretty clearly the winner in this scenario. Let's say you use one of AT&T's Mobile Share Value plans to split 3GB of data with your spouse. That'd run you $120/mo. for the same setup described in the previous section, since AT&T charges a $40 "device access" fee for every smartphone connected to the plan. On a non-contract configuration, the rate would drop down to $90/mo. Google's Project Fi doesn't support family plans, but for argument's sake, let's assume that Person 1 is using 2GB per month and Person 2 is using 1GB per month. (We could split the 3GB up any way, and it'd come out the same.) Person 1's Project Fi bill would be $30/mo., while Person 2's would be $40/mo. -- so for both bills together, you'd be looking at $70/mo. And like in our last scenario, that'd include money back for any unused data and international data use at no extra cost. Even with its family plan "deals," AT&T suddenly isn't lookin' so good. Sprint's plans are a little more complicated, but we'll pick a couple of examples just to get an idea of how things compare. A shared data plan on the carrier would give you 4GB of mobile data and unlimited talk and text for $80/mo. with a single phone bought on contract. With an unsubsidized phone, the same setup would cost you $65/mo. If you added a second person into that plan -- sharing the same 4GB of data -- the rate would go up to $120/mo. with on-contract devices or $90/mo. with unsubsidized phones. Tethering and mobile hotspot use are included as part of the same allowances. Data doesn't roll over from month to month, nor do you get money back for any unused data, and international services are not included. With Project Fi, a single 4GB plan would run you $60/mo., which is obviously a better deal than Sprint's single-phone offering (especially considering that the Project Fi plan gives you coverage on both Sprint and T-Mobile). If you were to use two phones on Project Fi and split them up to 2GB apiece, you'd be looking at $80/mo. total for both lines -- again, quite clearly a better deal. And don't forget that both Project Fi arrangements provide money back for unused data and international data use at no extra cost. Sprint offers an individual plan with unlimited talk, text, and data for $85/mo. for on-contract devices or $60/mo. for unsubsidized phones. International services are not included, nor is tethering and mobile hotspot use; the latter will run you an extra $10/mo. for 1GB, $20/mo. for 2GB, or $50/mo. for 6GB of data. There's no direct parallel between that and Project Fi, since Project Fi doesn't offer an unlimited option and instead just charges you for the data you use -- so ultimately, it comes down to how much data you actually use in any given month and whether the included tethering, international data, and multi-network privileges are important to you. As a general comparison, $60/mo. -- the same price you'd pay for unlimited everything on Sprint with an unsubsidized phone -- would get you 4GB of data per month on Project Fi. That includes tethering and mobile hotspot use as well as international data and money back for any unused gigs. T-Mobile has a lot of plan options these days, so again, we'll pick a few to use as examples. The carrier's Simple Choice plan gives you unlimited talk and text and 3GB of data for $60/mo. Tethering and mobile hotspot use are included within the same data allotment, meanwhile, while unused data rolls over month to month and remains available for up to a year. International data use is included in 120 countries, just like with Google's Project Fi. With Project Fi, that same exact service would run you $50/mo. -- and instead of data rolling over, you'd get refunded for whatever you didn't use. And you'd have T-Mobile's data network along with Sprint's at your disposal, for whatever that's worth. So it's a much closer comparison than most of the others, but Project Fi still comes out a nose ahead. If you moved up to one of T-Mobile's shared family plans, you'd pay $90/mo. for unlimited talk and text and 4GB of total data (split up as 3GB on one phone and 1GB on the other, for this example). That same arrangement would run you $80 total on Project Fi, with refunds coming back for any unused data in each month. T-Mobile has an unlimited Simple Choice option for $80/mo. The only caveat is related to tethering and mobile hotspot use, for which you're limited to 5GB per month. Like with Sprint's unlimited plan, the question here is how much data you actually use. The same $80/mo. would get you 6GB/mo. from Project Fi, which includes both regular mobile data and tethering together (and, like all the other Project Fi plans, includes a refund for any data you don't use in any given month). So if you're really using a ton of data, T-Mobile's unlimited setup could end up being the better arrangement for you. But if you're using anything less than 6GB on average for mobile data and tethering combined, Project Fi is probably the stronger proposition. How about Verizon? The carrier's individual plan would cost you $75/mo. for unlimited talk and text and 2GB of data. If you use Verizon's Edge program, the price drops down to $60/mo. In either case, there's no refund or rollover for unused data and neither tethering/hotspot use nor international data is included. The same 2GB of data on Project Fi would run you $40/mo. and would include both tethering/hotspot use and international data. Provided you can get solid service from Sprint and/or T-Mobile in your area, it's clearly the better deal. Verizon's More Everything plans, meanwhile, would let you use two smartphones with unlimited talk and text and a shared 4GB of data for $140/mo. or $110/mo. with Verizon's Edge program. Those rates do include tethering/hotspot use but not international data. Project Fi would give you two lines with unlimited text and talk and 2GB of data each for a grand total of $80/mo. -- and it'd include tethering/hotspot use along with international data and money back for any data you don't use from month to month. In terms of pricing and value, there's really no comparison. Verizon's prepaid plans offer unlimited talk and text with 1GB of data for $45/mo. or 2.5GB of data for $60/mo. Neither plan includes refunds or rollovers for unused data, nor do they include international data or tethering/hotspot use. The same unlimited talk and text with 1GB of data would run you $30/mo. on Project Fi, while 2.5GB of data per month would end up costing you $45/mo. -- both with international data use, tethering/hotspot use, and refunds for whatever data you don't use. T-Mobile has a popular prepaid plan in which you pay $30/mo. for 100 minutes, unlimited texting, and 5GB of high-speed data. The same 5GB of data would cost $70/mo. on Project Fi, so if you're content with the low monthly minute allotment T-Mobile's plan provides, it remains a difficult value to beat. Of course, the Project Fi plan would give you the added features of tethering/hotspot use, unlimited minutes, international data, and refunds for any unused data -- so it's certainly no bad deal. But it also costs more. If you were to spend $30/mo. at Project Fi, you'd get only 1GB of data. So it really just comes down to how much you're looking to spend and what features matter the most to you. A lot of people also use a $45/mo. plan from Straight Talk that includes unlimited talk and text with 3GB of high-speed data. The same 3GB of data would run you $50/mo. at Project Fi, but it would give you tethering/hotspot functionality -- which Straight Talk does not support -- along with international data and refunds for any unused data. Once again, it comes down to what features matter the most to you and whether Project Fi's add-ons and unusual network-switching capability are worth the extra five bucks per month. What we're seeing with Project Fi right now is almost certainly only the beginning of Google's wireless service efforts. Already, though, the project's prices are without question a killer deal compared to most traditional carrier offerings. With just a few exceptions, the rates are lower and the plans more fully featured than their closest carrier equivalents. Of course, as of now, Project Fi requires you to use a Nexus 6 -- which is going to be a pretty significant limiting factor for a lot of folks. It also requires you to be okay with relying primarily on Sprint and T-Mobile for data coverage, which isn't going to be ideal for people in some parts of the country. And on top of all of that, the program is currently available on an invite-only basis, so it's not something hordes of customers are suddenly going to adopt. Based on its initial form, though, it's something well worth watching -- and something the carriers are likely going to be watching closely themselves as well. With its low cost, its consumer-centric pricing model, and its generous list of included features, Project Fi has the potential to make carriers big and small rethink their approaches to selling service if they want to stay competitive. And you know what? More than anything else, that's probably exactly what Google wants to achieve.